Antonio Rinaldi is a Melbourne-based artist. During the obtaining of his diplomas and Bachelor of Arts with Honours in dance, he performed works by Nils Christe, Sue Healey, Michael Whaites, Isabella Stone and Scott Ewen. Since 2016, he has performed in works such as William Forsythe’s One Flat Thing, Reproduced, Raewyn Hill’s The Zone and Opera Australia’s King Roger. He has also worked with choreographers Prue Lang, Michael Getman and Aurélien Scannella. More recently as a precursor to SUNSET, he worked with Maxine Doyle and Connor Doyle. 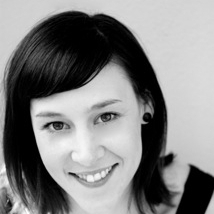 Bernadette graduated from WAAPA’s honours program, LINK Dance Company, in 2011. In 2012 she toured Australia with Tasdance, performing in works by Anton, Frances Rings and Marnie Palomares. Locally, Bernadette has performed in works by Buzz Dance Theatre, Sue Peacock, Aimee Smith, Jo Pollitt, Patrice Smith, Claudia Alessi, Didier Théron and Natalie Allen. In 2014 she was nominated for the most outstanding female performer at the WA Dance Awards. Her choreographic work includes new commissions by WAAPA and movement consultation for new theatre works by The Last Great Hunt and Riptide. Her latest work, The Honeymoon Suite, was the recipient of the FRINGE WORLD Dance and Physical Theatre Award 2018. Brendan is a multidisciplinary performance artist, performing in opera, musicals, cabaret, and classical and contemporary plays. He is a writer, director and lecturer at WAAPA. His credits include Assassins, I Am My Own Wife, Clinton, Next to Normal, Midsummer(a play with songs) and Arcadia, all for Black Swan State Theatre Company. The Telephone for Lost and Found Opera and Into the Shimmer Heat for Nova Ensemble. For Brainbox productions he performed in Lebensraum, The Last Five Years and Grande Revue. He performed in Les Miserables for Cameron Mackintosh, Grease for Gordon Frost and Singin’ in the Rain for David Atkins Enterprises. He has sung for WA Opera in Tosca, The Tales of Hoffmann, The Magic Flute, Orpheus in the Underworld and Carmen. 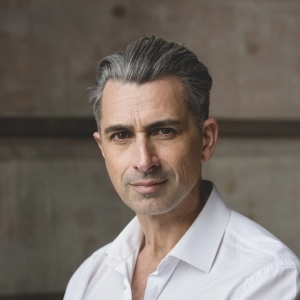 His directorial credits include Actéon for Lost and Found Opera, The 50th Anniversary Opera in the Park for WA Opera and the company’s ongoing schools opera programmes. For WAAPA he has directed Cabaret Carnivale, Opera! The Opera, Angelique, Acis and Galatea, Guess Who’s Coming To Dinner?, Dido and Aeneas and La Serva e l’Ussero. He was a finalist in Channel Ten’s I Will Survive, and played Hudson Fysch in Air Australia for the ABC. He is a WAAPA graduate and a proud member of MEAA since 1990. Callum is an Australian artist that has worked in dance theatre and film, originally from a hip hop background before moving to contemporary. He has worked with the Dream Dance Company in the productions of The Secret Society and Enter the Vortex. Callum has been a featured dance artist for Suzuki, Cartier, ALDI and Kingswood. Callum has also completed a Diploma of Film and Interactive Media focusing on video editing and artistic direction through cinematography. He incorporates this knowledge through his work with video art and projection work for live dance.In 2017, Callum debuted his first choreographic work, WeAreSOUND’s Train of Thought. 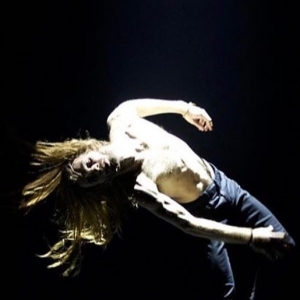 In 2018, Callum worked with Chunky Move in a work called Accumulation choreographed by Anouk van Dijk and Legs on the Wall for The Raft choreographed by Joshua Thomson and Gavin Webber. As well as debuting his solo work The Artists Mind at KABA Festival in Sumatra, Indonesia. Humphrey is an actor, writer, director, dramaturg and teacher based in Perth. He has worked in theatre, dance and puppetry and contemporary performance with companies and artists across Australia. 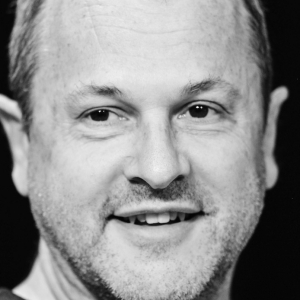 He was a founding member of Melbourne collective Whistling in the Theatre in the 1980s, and Perth independent company Last Seen Imagining from 2001 to 2007 and was Artistic Director of Night Train Productions from 2007 to 2015. He is currently a guest teacher and director at WAAPA. Recent performance credits include: Hiro (Sam Chester, Blue Room); Coma Land (Black Swan, Studio Underground); Overexposed (Danielle Micich, State Theatre Centre WA); Laughter on the 23rd Floor (Black Swan, Heather Ledger Theatre); Jasper Jones (Barking Gecko, Studio Underground); Wish (Night Train/PTC, Studio Underground); Asterion (Proximity, PICA); and Tales from Outer Suburbia (Spare Parts). Kynan graduated from WAAPA in 2000 and has since worked with companies including Leigh Warren and Dancers, State Opera South Australia, Dance North and Sydney Dance Company. 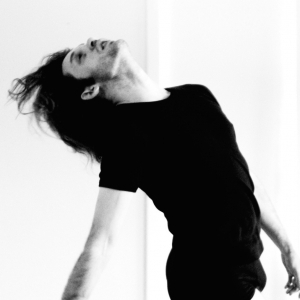 Since returning to Perth in 2012, Kynan has attained his Bachelor of Arts, performed in Sally Richardson’s The Ghost’s Child and RITES – dying to dance, James Berlyn’s Tenebrae et Lux, Joe Lui's Selkie and Sue Peacock's Reflect (nominated as 'Best Male Performer' in the 2013 WA Dance Awards). He choreographed and performed in With a Bullet: The Album Project for Fringe World and collaborated with Chrissie Parrott on THE MAN (which won the 2014 Fringe Award for Performance and was nominated for choreography and performance by a male dancer for the WA Dance Awards). He was part of Buzz Dance Theatre's BIG Stretch: a program taking contemporary dance to remote indigenous communities in the Kimberley and toured their work to schools and the AWESOME Festival. Kynan has choreographed works for LINK Dance Company, STEPS Youth Dance Company, WAAPA, STRUT's Short Cuts, the Education Department of WA and Beijing Normal University. Recently he was commissioned to create a new work for the opening of the City of Perth's Winter Arts Festival. Kynan co-curates IN Situ, a program of site-specific work for local independent artists and is a sessional lecturer at WAAPA. His work Valentine premiered in 2017 at The Blue Room Theatre and his latest work Love/Less premiered in the MoveMe Festival in 2018. East Fremantle born, Natalie Allen has worked with leading Australian and international choreographers Leigh Warren, Rafael Bonachela, Adam Linder, Emanuel Gat, Jacopo Godani, Larrisa McGowan, Alexander Ekman, Garry Stewart, Natalie Weir, Alexander Whitley, Gwyn Emberton, Samatha Chester and William Forsythe.Natalie won a Green Room Award for 'Best Female Dancer' in Sydney Dance Company's, 2 One Another and was nominated for an Australian Dance Award for Outstanding Performance in Ohad Naharin's Decadance (MoveMe Festival 2016, Perth). Recent choreographic works are Sublime… (Perth FRINGE WORLD Festival 2017), Climacteric (IN Situ 2017, Micromove 2018 & Adelaide Fringe Festival 2019), Panthea (created on the 2018 graduating WAAPA dance students and toured to Taiwan) and #thatwomanjulia, a solo work in collaboration with Sally Richardson for MoveMe Festival 2018 that will be presented at Dance Massive 2019. Natalie is the successful recipient with Samuel Harnett-Welk of STRUT Dance’s 2019 International Seed Residency to Indonesia. Sarah is a Melbourne based dance and choreographic artist moving between improvisational practices, collaborative performances, or installations. Her most notable collaboration being a producer and performer in the Demi-Opera Polyphony of Form and Ito Project 2 in Tokyo. As a graduate of VCA, she has received the AG McMillen Arts Trust for excellence and worked alongside choreographers Stephanie Lake and Prue Lang. 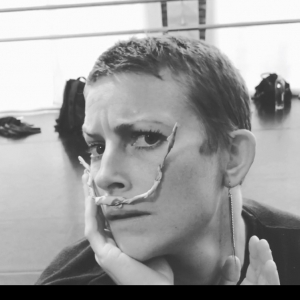 Most recently Sarah has performed in AsiaTopa with choreographer Victoria Chiu for Grotto and Fire Monkey, and One Flat Thing, Reproduced by William Forsythe under the guidance of Cyril Baldy and Ayman Harper. Viola is currently a Sydney-based independent artist. She is a 2015 graduate of Sydney Dance Company Pre-Professional Year and trained at Ev & Bow Full-Time Dance Training Centre in 2014. In 2017, Viola worked with Antony Hamilton and Co3 Australia as an associate artist with Sydney Dance Company (SDC). She currently works as a Teaching Artist for the SDC and continues to tour their repertoire and deliver workshops to schools throughout Australia. Independently, Viola’s artistic practice spans across contemporary dance, film, performance art and dance theatre. She has worked with a number of choreographers around Australia such as Kristina Chan, Lewis Major, Cass Mortimer-Eipper, and Amrita Hepi. She performed in Tasdance’s Brew season in 2017 and as a solo dance artist for The Soldier’s Tale by Sydney Symphony Orchestra. Viola was also part of the first Australian cast to perform Batsheva Dance Company’s Decadance through STRUT Dance. Zachary Lopez is an Australian based contemporary dancer and emerging choreographer. 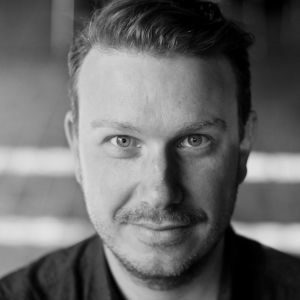 He has worked with Sydney Dance Company (SDC) as an associate artist and choreographer, he was a founding member of WA’s dance company Co3 Australia and has also worked with The FARM, Opera Australia and West Australian Opera. After SUNSET, he will be working with the Art Gallery of NSW with Amrita Hepi on The National 2019. 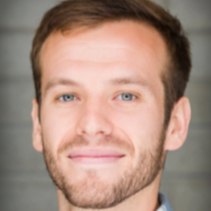 He has recently been awarded the 2019 Creative Young Leaders Fellowship from Create NSW, Propel Youth Arts Yculture grant (2018) and a creative development grant from The Department of Local Government, Sport and Cultural Industries (2017) for his ongoing research work Dis- integrate. He has also been awarded an Australia Council Artstart Grant (2015) which allowed him to work with Ivan Perez and Marina Mascarell (Netherlands), the SDC Artist Scholarship (2014) and Queensland University of Technology’s Outstanding Graduate scholarship after completing a Bachelors of Fine Arts in 2013. Brian Kruger is a violinist / pianist / composer / rapper. To say that he plays many roles would risk undermining his expertise and experience in each. As a violinist he has played for WASO, PSO and many smaller ensembles for concerts and recording sessions, such as the Hilltop Hoods and London Grammar. He currently teaches violin and a Rap Music course at Guildford Grammar School. As a composer, his music has featured in many short films and advertisements and is known for its bespoke style and hyper detailed richness. Performing under the moniker 'Kruger James' Brian has won WAMIs for his work and been nominated for several more. He also hosts and runs a bi-weekly night at The Moon Cafe called Colab which serves as a hub and support network for aspiring Perth musicians and artists. Rachael Aquilina currently works as a freelance violinist, teacher, arranger and manager of the ensemble 'Aquila'. As a performer she plays regularly with both the Perth Symphony/Chamber and Western Australian Symphony Orchestras and has shared the stage with many international acts such as Bruce Springsteen, Hans Zimmer, Hugh Jackman and Michael Buble to name a few. 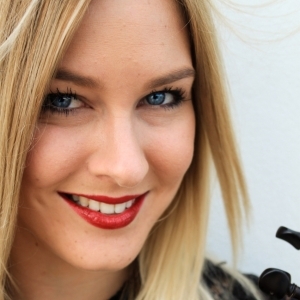 She is a passionate chamber musician and regularly leads both the Fremantle Chamber Orchestra and Camerata 1685. 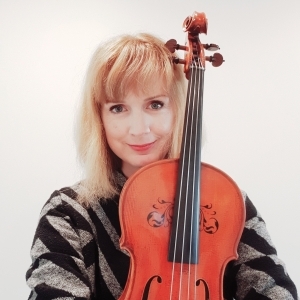 Her music career has seen her travel the world with highlights such as touring as part of a string quartet with the UK band London Grammar and also to rural parts of Australia with the Perth classical trio Fiddlesticks on a Musica Viva educational tour. Aquila has been her newest venture, moulding the standard classical string quartet into an unconventional rock band with the addition of drums and all contemporary arrangements. Tristen Parr is a classically trained and highly versatile acoustic and electric cellist specialising in new music performance and performer integrated sound design for theatre and dance and exhibition. 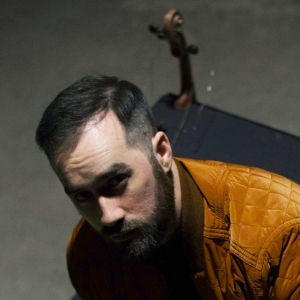 This focus has seen Tristen expand his sonic language through the integration of live electronic manipulation of the acoustic and electric cello, creating dense and expansive sound worlds. He has toured extensively throughout Australia, Canada, USA, Asia and Europe and has recorded for radio locally, nationally and internationally. Tristen is a founding member of the award-winning Decibel New Music Ensemble whose focus is the commissioning of new electro acoustic works and the development of new graphic score formats and notations. He has been commissioned to create music by the likes of Yirra Yaakin Theatre, The Australian Ballet, AIVDT, Buzz Dance Theatre, Louisville Ballet, LINK Dance Company, Queensland Ballet, Barking Gecko, CANWA, and The National Maritime Museum, as well as film and advertising soundtracks. Tristen has won numerous WA Music Industry and Fringe awards and is a Helpmann Award nominee for Best Music Direction.